Our Day Early Learning pre-K program prepares your child for success in school and life. By balancing social-emotional skills and academic preparation, our teachers and classrooms empower children to learn, grow and thrive. All Day Early Learning pre-K classrooms utilize The Creative Curriculum, a research-based early child care and education curriculum.  The learning objectives of this curriculum are aligned with Indiana’s Early Learning Foundations and include child-directed activities that address language & literacy, math, science, social-emotional, and physical development. At Day Early Learning, every pre-K classroom is rich with language. Encourage children to use more complex sentences. Encourage children to contribute to group conversations. Encourage children to retell familiar stories using props. 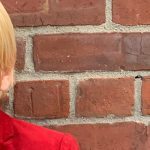 Help children recognize their own name in print. Help children begin to recognize most uppercase and some lowercase letters. Encourage children to draw to tell stories, dictate their stories to their teachers, and use invented spellings to label their work. Math is integrated into all of our learning experiences in pre-K. Provide board games with opportunities to count and compare quantities. Encourage children to match patterns of items and creating their own patterns. Have children help set the table, count items to ensure that each member of the class has what they need. Encourage children to talk about the sequence of events. Encourage children to create and extend patterns. Encourage children to name and write numbers 0-10. Use position terms such as above, below, beside, and between. Children’s scientific curiosity is fostered in our classrooms through observation and experimentation. Encourage children to sort objects based on different attributes and explain their reasoning. Plant seeds and have children predict growth patterns and document their observations. Provide classroom objects to create simple machines to enhance their play. 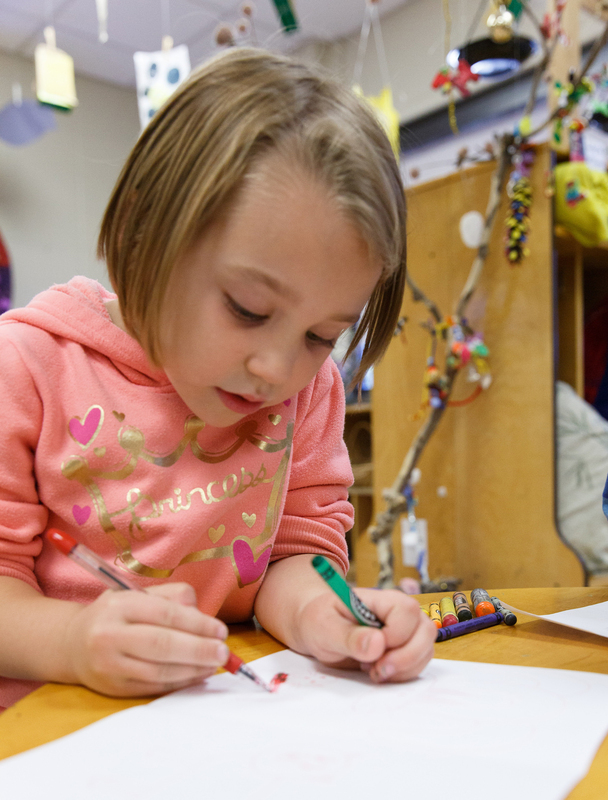 Our pre-K curriculum places a strong emphasis on social-emotional and self-regulation skills so children can be better prepared for kindergarten. Identify their emotions and the emotions of others. Use words and actions to effectively express how they feel. Regulate their emotions with adult support, if needed. Play with peers for an extended period of time. Physical growth and development is an important aspect of a child’s development. Demonstrate coordination and balance in a variety of activities. Communicate about foods that will keep them healthy. Attend to personal care practices with minimal help from adults. Our pre-K classrooms are designed for learning with spaces to accommodate large and small groups, individual work, and messy play. 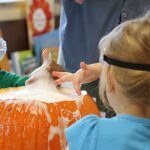 Children have the freedom to engage in the activities and centers that interest them most including pretend play, blocks, math and science, art, sensory play and writing. 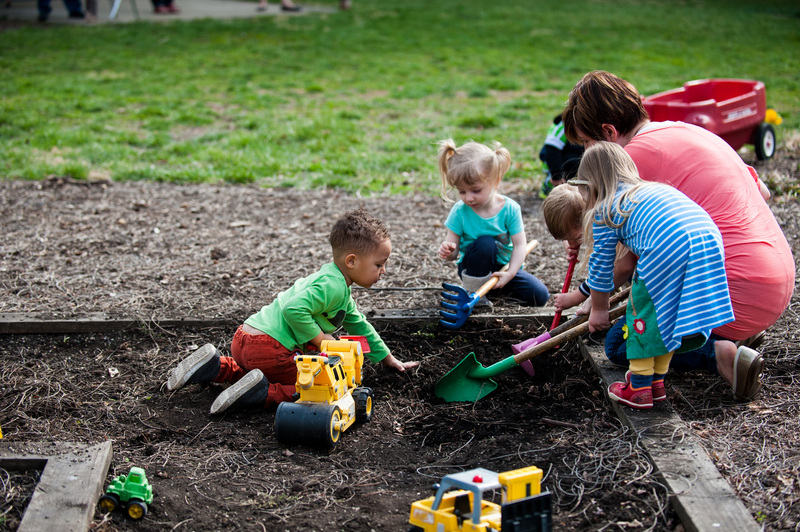 Individual and group activities are designed to provide enrichment in all areas of development, and are based on the teacher’s specific observations of each child’s interests, skills, and current developmental level. 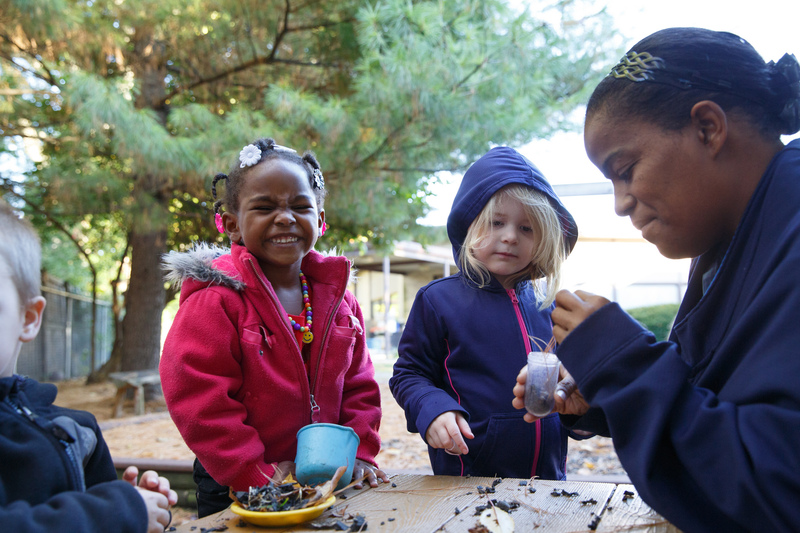 Day Early Learning pre-K teachers nurture the interests, curiosity and skills of your child. 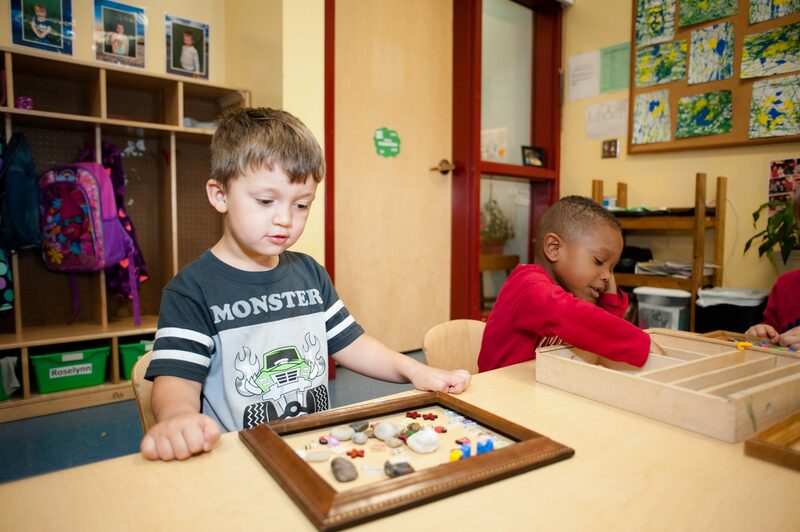 Through intentional, play-based activities and classroom activities that build both social skills and independent learning, our pre-K students benefit from individualized educational support on a daily basis. Day Early Learning pre-K lead teachers hold a bachelor’s degree in early childhood education. 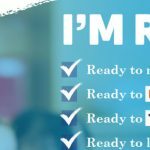 Assistant teachers hold either an associates degree in early childhood education or have or are working towards a Child Development Associate (CDA) credential. Because lifelong learning is central to our work, teachers continue their education through regular trainings. Additionally, Day Early Learning Quality Coaches work with each teacher in individual classrooms to enhance teaching skills. All teachers undergo a screening and background check prior to employment. 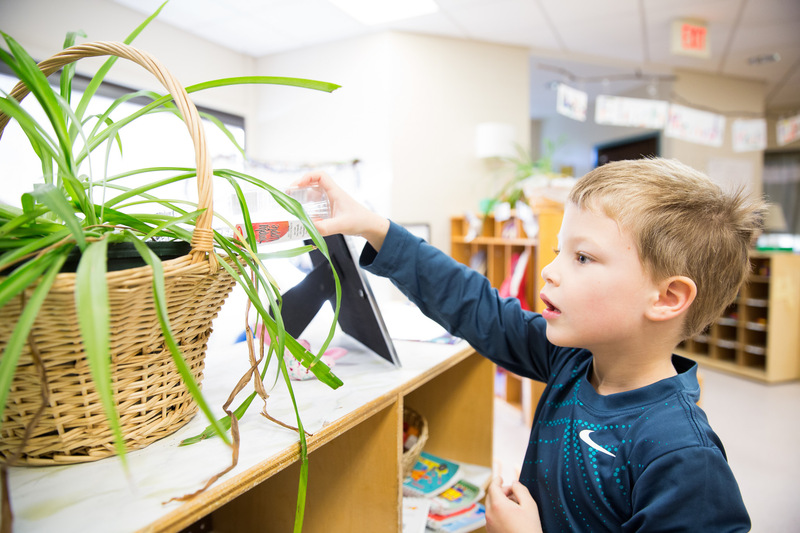 At Day Early Learning, we believe in the importance of regularly assessing each child’s growth and development in order to tailor our lessons and activities to the needs of each individual child. 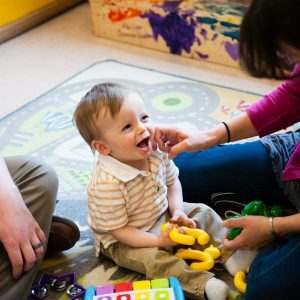 All Day Early Learning centers use several methods to assess each child’s growth and development including weekly observations, an annual Ages and Stages Questionnaire and the ISTAR-KR assessment. There are so many ways my child has developed in pre-K, but my favorite skill he has developed is his curiosity. Because teachers consistently use questions and create opportunities to explore the world, my son has grown into an inquisitive person. He constantly wants to know how and why things work, what his role is with them, and what will come next! My husband and I both feel comfortable leaving our daughter in Day Early Learning's care while we are at work. We are confident that she is ready for Kindergarten even though she'll be among the youngest in her class. Immediate openings for 3-5-year-olds at all Day Early Learning locations.